A Pakistani Hacker name as "Tha Cronos Ip (Black Hat)" have been exposed by the Indian hacker group name as "Brother Of 64". As by its Facebook profiles, it says that Tha Cronos Ip work for a hacker community group name as "The Hacker Army (THA)". 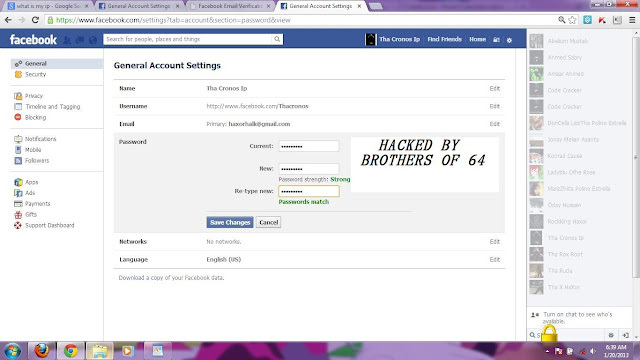 By the One night operation, Brother of 64 have exposed the Tha Cronos Ip hacked its 2 Facebook accounts, including its Email, Facebook Fan page, and Facebook Groups. "Brother Of 64 state the reason of exposing him as, He had hacked some domains on India and this was just a small pay back to them". 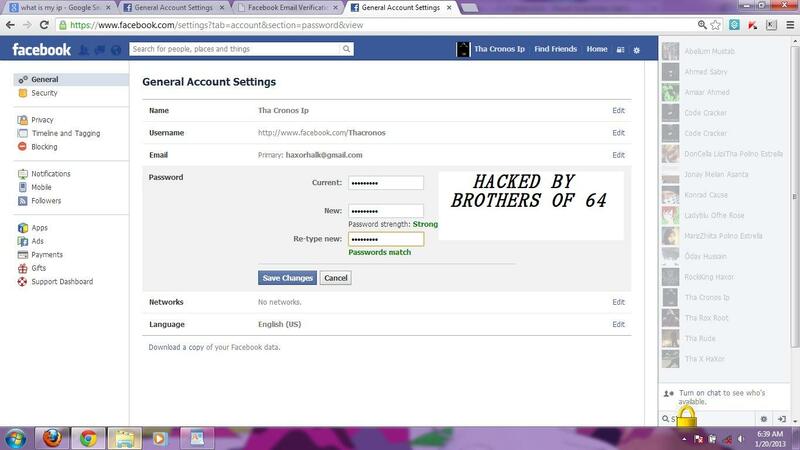 Here are the some screenshots of Tha Cronos Ip, Facebook accounts which was hacked by Brother Of 64. Here is the all the detail of the Tha Cronos Ip. That got hacked.. details have been pasted in the Paste bin site.. See here.. This paste bin contains all the detail of the hacks, including Facebook accounts, E-mails, personal chat of the victim, Victim fan-page, face book group.